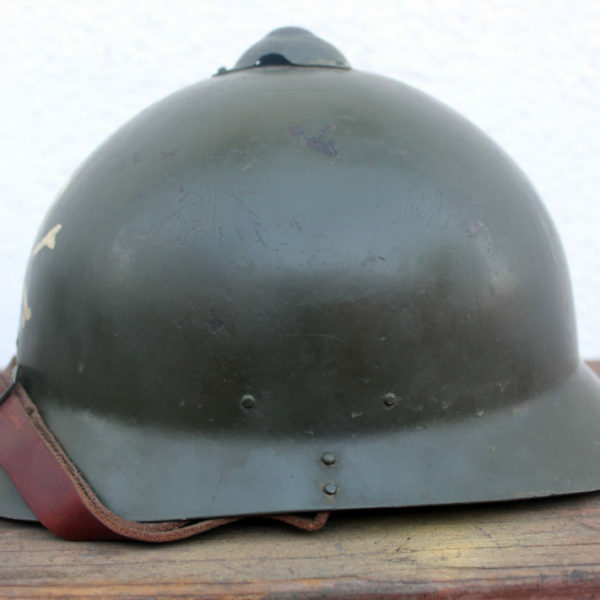 Russian M17 helmet, in size 58. 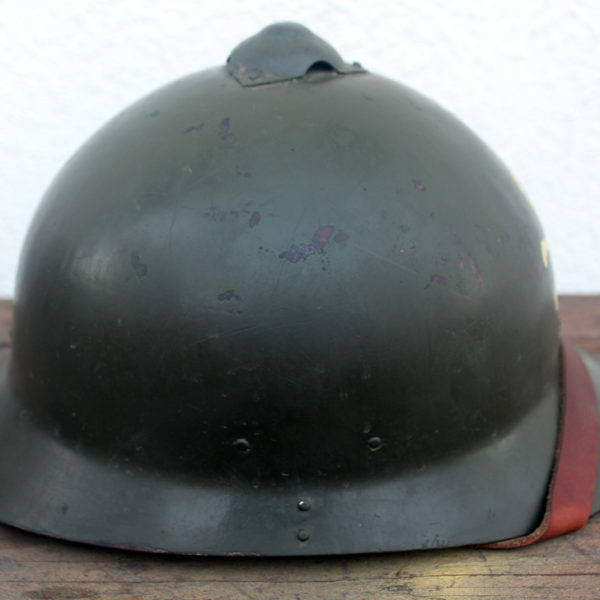 Restored to look like a shock battalion helmet, worn during the last days of Russia’s involvement in the Great War. 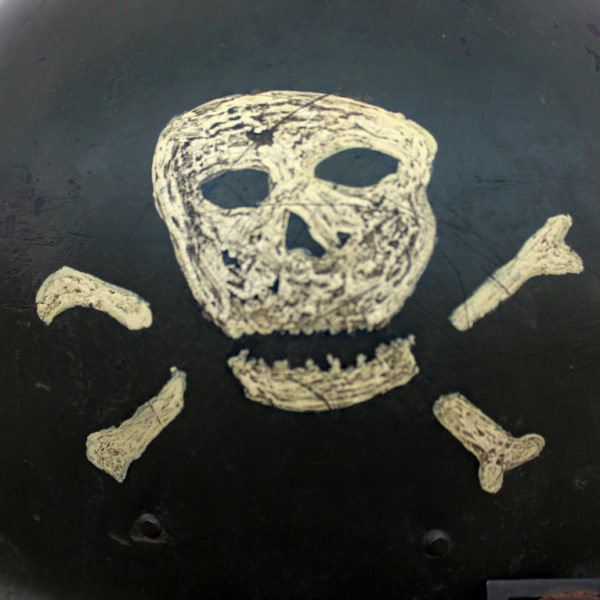 This is a rare original Russian M17 helmet. It has been restored to look like it might have been worn by a member of a Russian shock battalion in 1917-18. In 1917 the Russian government authorized the development of a steel helmet. 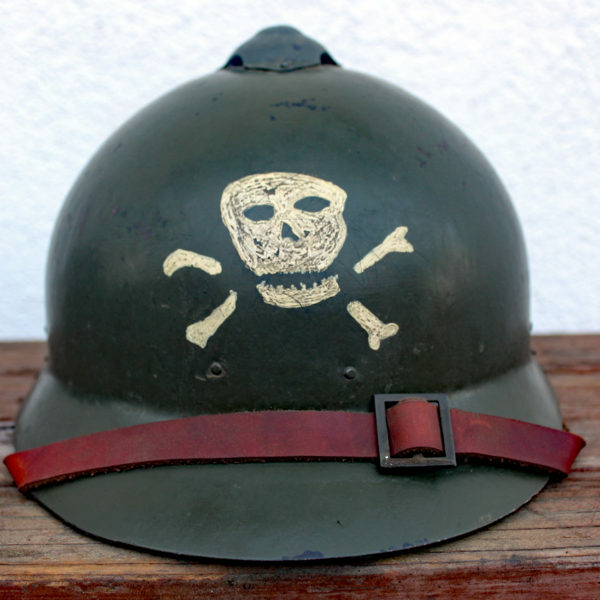 Surviving records show at least 10 firms produced this helmet. A few of those firms would manufacture the new helmets in the Duchy of Finland. Due to this connection to Finland modern collectors have erroneously called this helmet the “Sohlberg” helmet, after the factory bearing it’s name owned by Granata Joint-Stock company in Helsingfors. In truth the Russians never gave the helmet a designation, and Sohlberg wasn’t even the only factory in Finland manufacturing this helmet. Since the helmet went into production in the spring of 1917, the nomenclature Russian Model 1917 is probably more accurate. Due to the political situation in Russia at the time these helmets went into production only a few thousand were able to be completed and delivered to the Russian army on the Eastern front before the army’s collapse. Still these helmets would see action. 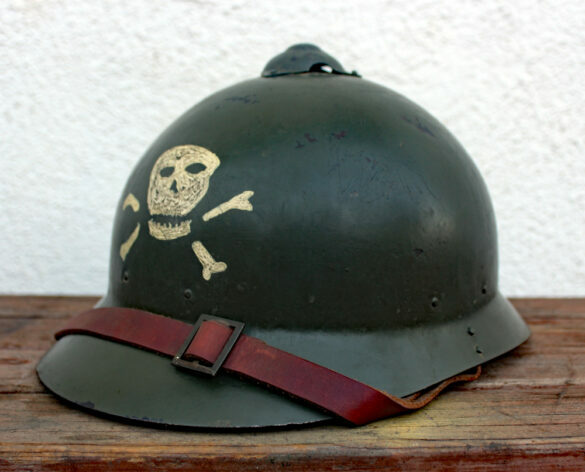 After the Russian Civil War commenced this model helmet would see use by both the Red and White Guard. 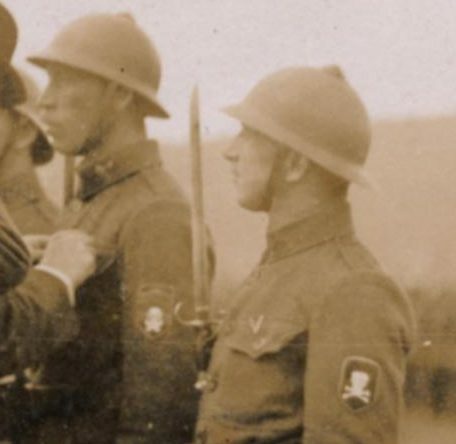 Photos also show extensive use by the Czech legion in the White Army. This particular helmet was re-worked in the post-war era by the Finnish fire brigade. The liner mounts were removed, the Russian paint stripped off, and the shell was repainted gloss black. 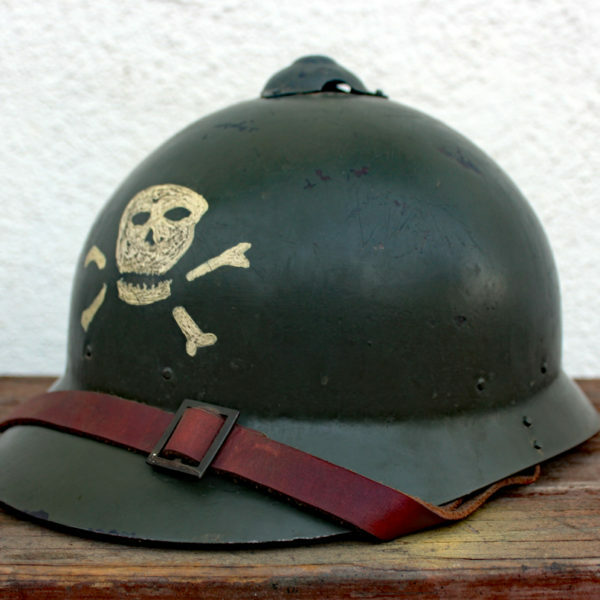 In bringing this helmet back to it’s WWI configuration, all post-war paint was removed. After paint removal accurate new liner mounted were riveted into place using steel rivets (not copper) just like the originals. The helmet was then repainted, the color chosen here was matched to an original sample. 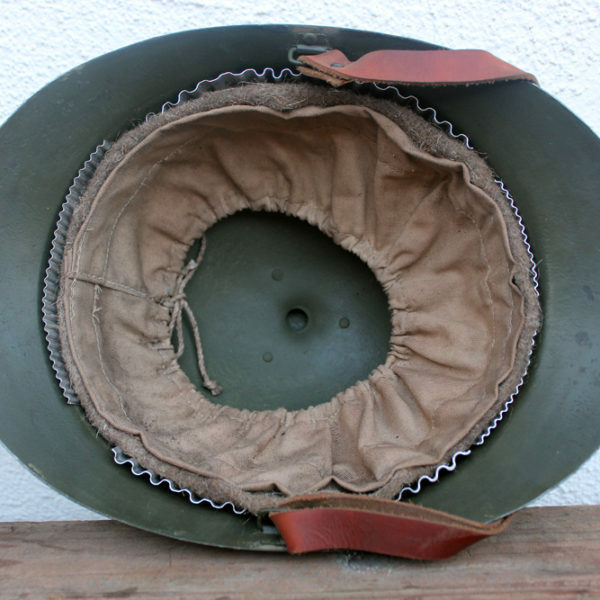 The helmet was then fit with the correct rough canvas liner, backed with brown Russian overcoat wool. This liner was painstakingly duplicated from an original example as well as referencing the 1917 blue prints. The chinstrap is an accurate duplication as well. The slide buckle is 1950s era Czechoslovakian issue, but the dimensions are the same as the Russian M17. 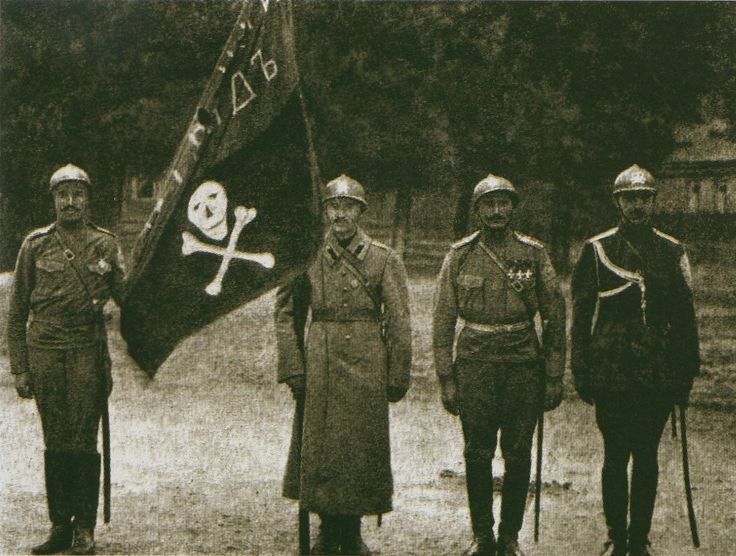 The hand rendered skull and bones insignia on helmet’s front is a symbol of the length that members of shock battalions were willing to go to assure a Russian victory in the Great War. This insignia were worn by a number of different Russian shock battalions during the final days of the Great War and Civil War, including the famous Kornilov shock battalion. It should be mentioned this is just one of the several variations of this insignia worn. The helmet has been aged to look and feel like a battle worn original. 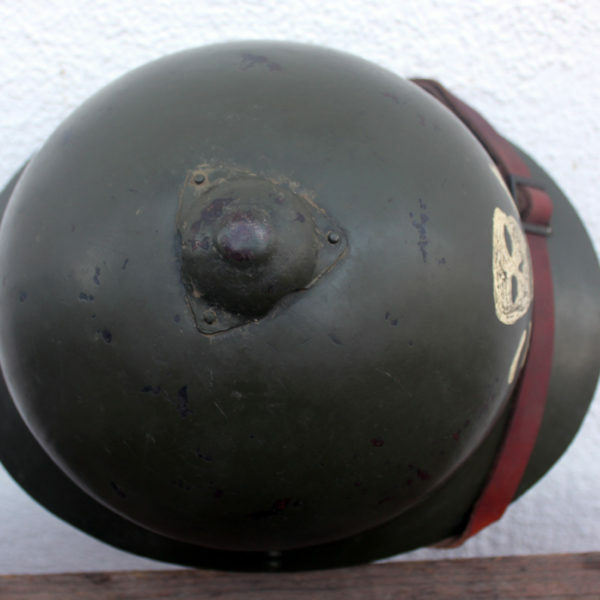 Few Russian M17 helmets survived WWI and the Russian Civil War in their original configuration. Here is your chance to fill that hole in your collection.